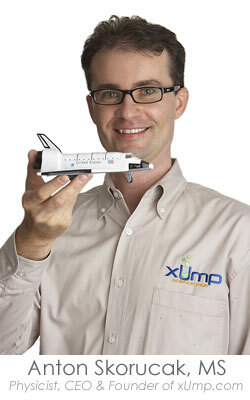 xUmp.com is a leading internet retailer of scientific educational supplies, toys and gifts. It is our mission at xUmp.com to provide excellent quality, highly educational products that promote the comprehension of science. 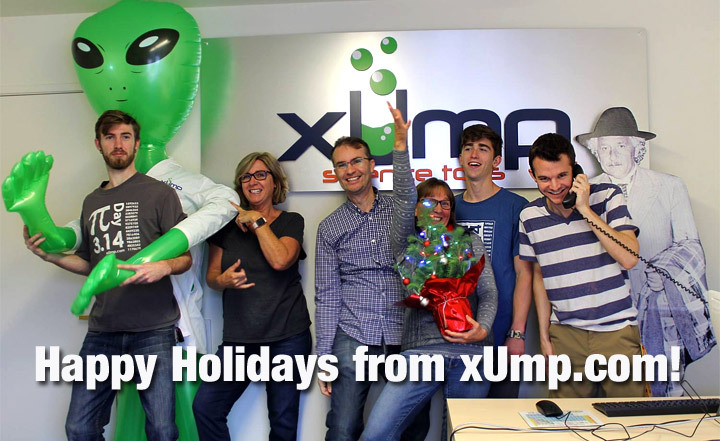 We at xUmp.com constantly search for new and innovative products that will help to inspire children's outlook towards the many fields of science. Our approach at xUmp.com is a simple one. The best way to learn about something is to make it fun. All of our products that we sell have been carefully screened and selected by our on-staff scientists, to maximize learning and fun. We believe in quick and honest communication with our customers, vendors and employees. We guarantee a 100% customer satisfaction or your money back. Any damages or returns are always handled quickly and with no additional cost to our customers. 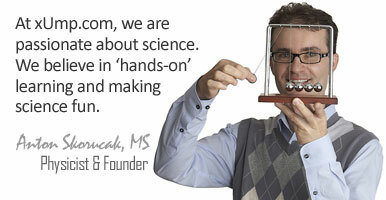 Our founder is a physicist and we regularly employ scientists, educators, and science students. This allows us to give our customers the best technical assistance with their science fair projects in the marketplace! We frequently organize hands-on science activities for kids at our headquarters and at local schools. Contact us if you would like us to come to your school. At xUmp.com we care about the environment. We also think that thinking about ways to use alternative energies, to reduce, reuse and recycle opens up an exciting world of learning opportunities. Click here to learn more about our green efforts. We are proud to be the only internet retailer in our category to ship to over 110 countries worldwide! Nerdiness to the max, but SO UBER COOL. They have glow-in-the-dark stars, a DNA helix building kit, various educational dvds... do I officially sound like Bill Nye's assistant? ok but seriously. This place is so great to get little things for kids. They seem enjoyable, and hey, it doesn't kill that they'll learn something too. My item arrived way before I thought it would and arrived in great shape. Excellent service. I would order from XUMP again. These folks were SO friendly and helpful on the phone. Would definitely shop with them again. Their Newton's Cradle is so much better than the smaller ones we looked at. Son is having a great time with it. Truly friendly and helpful service. A joy to work with. Thanks so much for looking out for my needs. You made a difficult situation simple. This was everything promised. I was amazed by the speed my order was processed and shipped. I was let down by several other vendors who blamed all of their problems on the "holiday rush". I had absolutely no problems with the product, value or service here!!! I will definitely use xump.com again. You are just the place I have been looking for. Training for my grandchildren and reminding me why I am a physicist. Please stay forever. All the items were checked and are exactly as ordered. You people do a Great Job! You have the best on-line ordering system I’ve seen, and it seems to work perfectly.